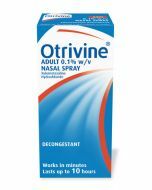 Otrivine Adult Nasal Drops is an effective decongestant which acts gently to clear a blocked nose within minutes and relieve excessive nasal secretion for up to ten hours. 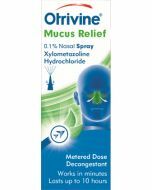 Useful for colds, hayfever and sinusitis. For nasal use: Avoid eyes and mouth. 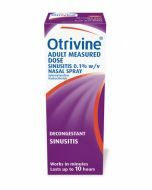 For Adults and Children over 12 years: 2 to 4 drops into each nostril, up to 3 times daily as needed. Do not use after the expiry date given. Also contains: Sodium chloride, disodium phosphate dodecahydrate, sodium dihydrogen phosphate dihydrate, disodium edetate, benzalkonium chloride, sorbitol non crystallising liquid (E420), hypromellose and purified water. 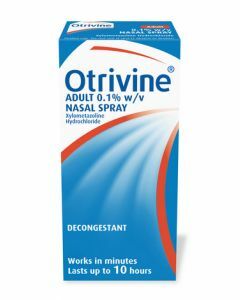 If you are pregnant or taking other medicines or are under a doctor’s care consult your doctor before using Otrivine. *Do not use continuously for more than seven days. *If Symptoms persist consult your doctor.